I don’t know about you, but I find stories of people achieving their goals incredibly powerful and inspiring. It always just fires me up! After all, we all have big goals, right? But, we tend to convince ourselves that there is no TIME for our goals and dreams. I mean, after juggling deadlines, work, health, and family- most of us have no clue where our time even went. But when push comes to shove, there’s a secret to all this success. My husband Chuck will tell you that I am a natural planner. It is one of my top strengths and is completely opposite to his love of spontaneity. I always want to have a plan, and Chuck never does. Part of staying married has been learning how to balance my need to plan everything with his need to, well, not. All this to say that I get that planning is not for everyone. And that’s okay. But I also know that without a solid action plan in place, most people will spin in circles. You might prefer to be adaptable and you might even excel at it. 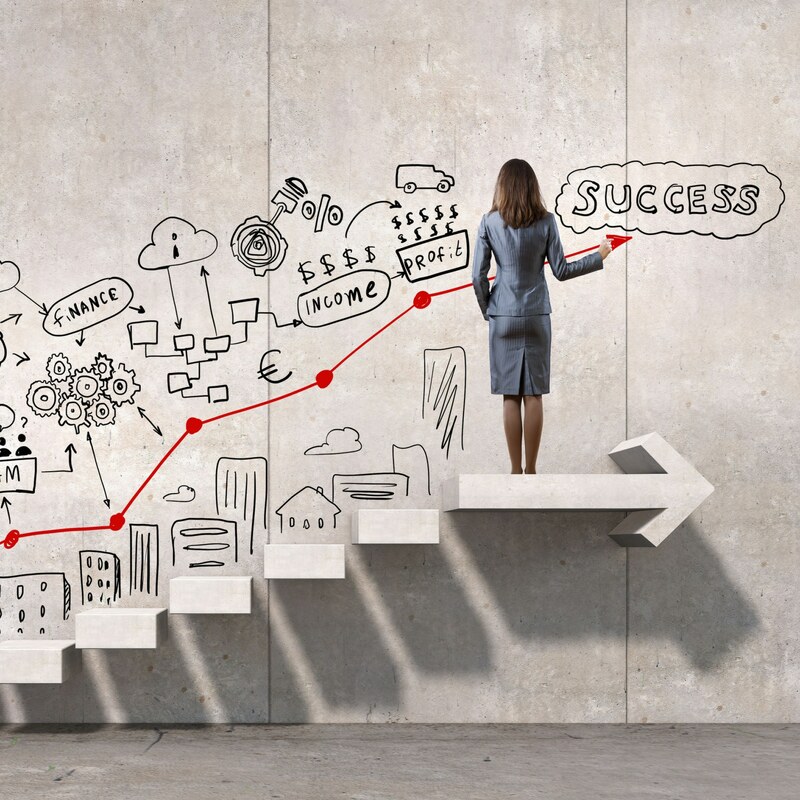 But, if you want to achieve your big goals and dreams, you’re going to need a solid plan and the right kind of tools. 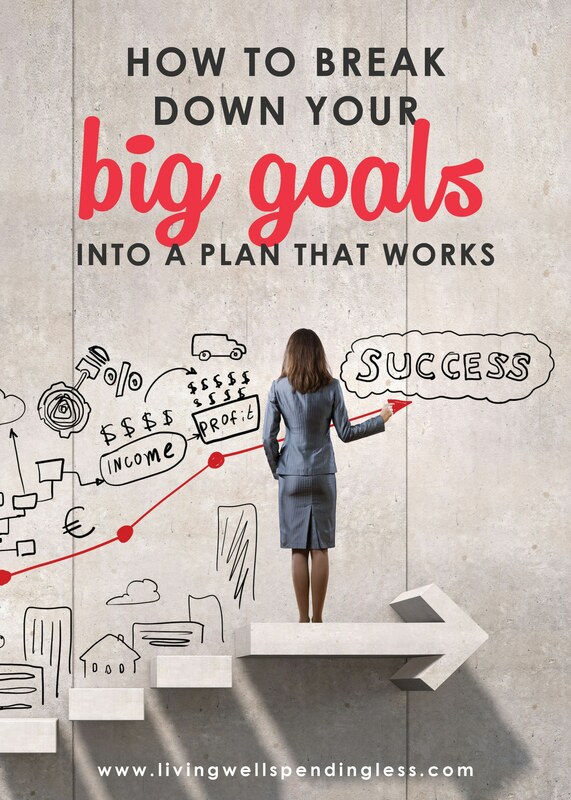 So how does it work, exactly, planning for your big goals? After all, it is one thing to dream about crazy ideas, but it is a whole other thing to follow through on them. Where do you even begin? In Episode 15 of the Do It Scared® Podcast, you will learn 3 super practical tips for breaking down those big goals into an action plan that really gets you to where you want to be. I promise it’s easier than you think! First, break down your big goals in to bite size pieces. Start by breaking down your someday goals into something you can do THIS YEAR. Then break your THIS YEAR goal into something you can do THIS MONTH, and then from THIS MONTH to THIS WEEK. The biggest goals never happen in one fell swoop. It is always a matter of continual momentum in the right direction. Our natural inclination is to put it off our big goals in favor of what feels more important at the moment. But, that is exactly why it’s crucial to break down those big goals into smaller milestones. Then those milestones into even smaller, more manageable bites. In the end, you’ll have a set of tasks that each feel doable. Completing these small tasks will give you a sense of accomplishment and the satisfaction of being one step closer to your big goal. This is where the rubber meets the road. Once you’ve broken down those big goals, start by planning out your week. Prioritize your time into must do, should do, and would like to do items. 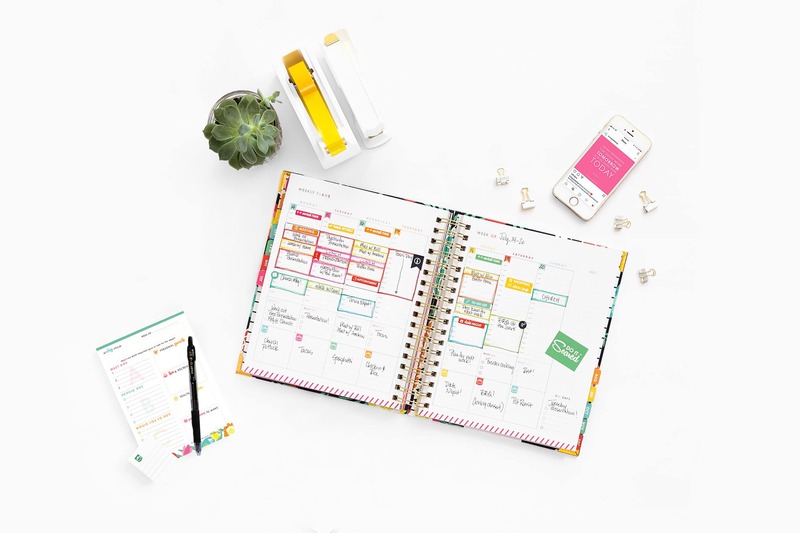 The Living Well Planner® is the perfect tool to help you break down your big goals into actionable tasks. I also start each week off by using my Weekly Wizard™ sticky notes. This page helps me identify ONE big thing that is most important this week. I like to call it the big focus. It also helps me identify my top three tasks, starting with the “A” tasks, or the ones that absolutely must get done this week to get me closer to my goals. First, always block out more time for an important task than you think you will need. Things almost always take longer than we think they will! Second, if you can, try to block your time into 1-2 hour chunks. Research shows that this is the optimum amount of time to work in one stretch—long enough that you can really dig in, but not so long that your brain turns off. 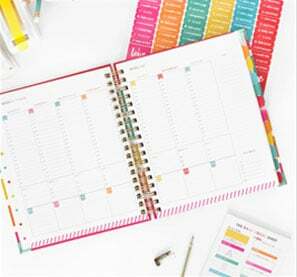 Third, be sure to schedule in buffer blocks each day—chunks of unstructured time that you can use to catch up if you get behind or to handle any urgent matters that come up that day. The key to success is practice. And, like anything else in life, the more you practice it, the easier time blocking will become. MAKE A DAILY DECISION TO STICK WITH IT. 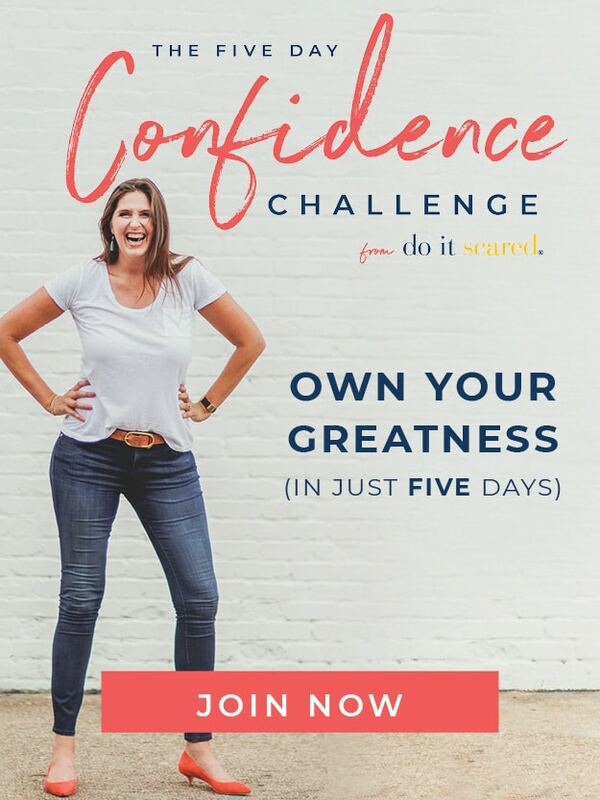 After learning the entire process of turning your big dreams into baby steps and the secret to blocking out your time, the hard work is over, right? Not so much. You need to make the daily decision to follow through with your plan and actually do the work. Each morning we start our day filled with a certain amount of self-discipline, and as we go about our day, that resolve tends to drain out. So, if you start your day by tackling your hardest, but most important tasks, you’ll have already done a lot! We must accept the truth that if we don’t take the time to put our long-term goals first, there will never be enough time or energy for our dreams. The obligations of every day will always take over. The reality of life is that there will always be more to do than we have time for, but that doesn’t mean that we can’t still make our big goals and dreams a priority. We absolutely CAN. Remember, small steps, taken over time, can lead to big things. Daily commitment to stick with it. Ain’t that the truth?! I am great at making goals and planning out my day, but I often find that I’m weak on follow through. I appreciate the reminder that reaching goals is something we have to commit ourselves to everyday, not just in the beginning. If you have make of your mind for the pay something about the for the scrabble word finder cheat then just change it because this is not good perception you can continue connect with it.